When was the last time that you felt truly at ease at the dental office? For most people, taking care of their teeth is a stressful experience, but that’s not the case for patients at Glow Family Dental. 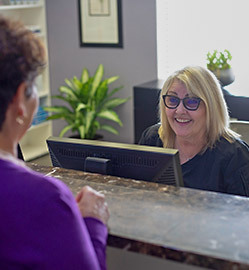 We’re all about making you feel completely comfortable from check-in to checkout and providing everything you and your family need under one roof so you don’t have to waste time running between different dental offices. Dr. Martinez and our team are ready to change the way you think about dental care one smooth and stress-free dental appointment at a time. Our team truly loves serving our community, which is why we provide a lot of free oral health education to local schools as well as outreach to the LGBTQ+ and Latino populations. Basically, if it makes someone smile, we’re happy to be a part of it! 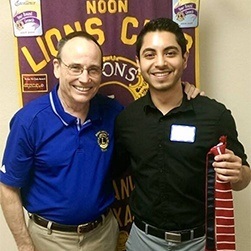 Our goal is to make sure that everyone in Duncanville has access to the dental knowledge and care they need to enjoy a strong and healthy smile for life. Whenever you come to our dental office, the first sound you hear will probably be laughter coming from our team. They get along like a group of old friends, and they’ll make you feel right at home as soon as you walk in the door. 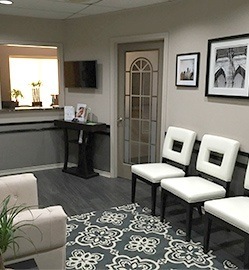 Their #1 goal is to ensure your complete comfort at every appointment, making scheduling, treatment, and even paying for your care as easy and painless as possible. Many of our patients enjoy our team so much that they actually miss them between appointments! At Glow Family Dental, we truly love our patients, so we don’t want them to have to go anywhere else! That’s why Dr. Martinez and our team offer such a wide array of services right here in Duncanville. 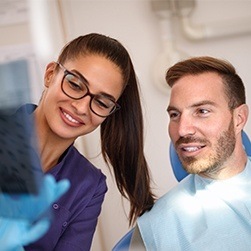 In the same convenient location, you can get your basic checkups and cleanings, custom-made tooth replacements, beautiful cosmetic procedures, and much more. Whatever you and your loved ones might need to achieve and maintain your smiles, you can trust that you’ll always find it here. Do you have dental insurance? If so, then we’ll be happy to accept it, and our team will even file your claims for you so we can make sure you’re getting the most out of your coverage at every single appointment. If you don’t, you can quickly sign up for our Glow Membership Plan, which offers many of the same benefits as traditional insurance, but for a fraction of the cost. And, low-to-no interest financing with CareCredit is available as well to make paying for your care more flexible.